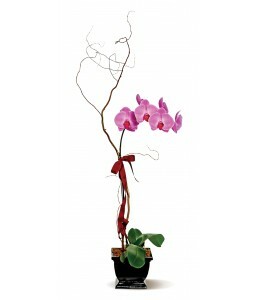 One perfect lavender potted phalaenopsis orchid plant is accented with a curling branch, and presented with a ribbon bow tied right around the middle. This low-maintenance, long-lasting and exotic gift will create quite an impression! $59.99 plus delivery.